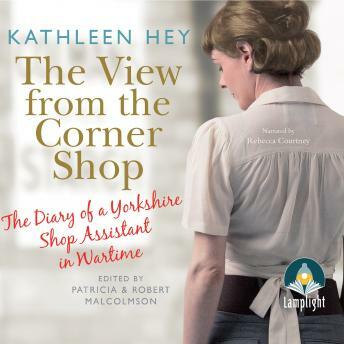 Kathleen Hey spent the war years helping her sister and brother-in-law run a grocery shop in the Yorkshire town of Dewsbury. From July 1941 to July 1946 she kept a diary for the Mass-Observation project, recording the thoughts and concerns of the people who used the shop. Among the chorus of voices she brings us, Kathleen herself shines through as a strong and engaging woman who refuses to give in to doubts or misery and who maintains her keen sense of humour, even under the most trying conditions.